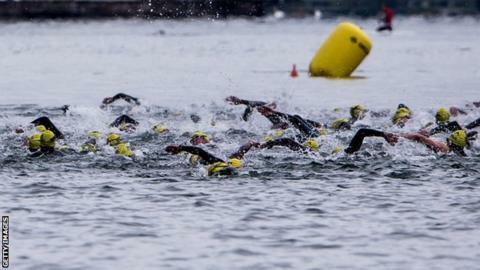 Morgan Davies won the first title of his career at the British Triathlon Championships in Liverpool on Sunday. The 20-year-old from Porthcawl in south Wales held off former champion Brendan Sexton by four seconds to win in 57 minutes 28 seconds. "It's my first ever win in a triathlon, so I'm really happy with that," Davies said. There was also Welsh success in the Sprint distance of the British Championships with Liam Lloyd's silver.